Coach's Corner - Cal Ripken Jr. Orioles hand signed/certified Game bat. Go Back to Lot List Cal Ripken Jr. Orioles hand signed/certified Game bat. 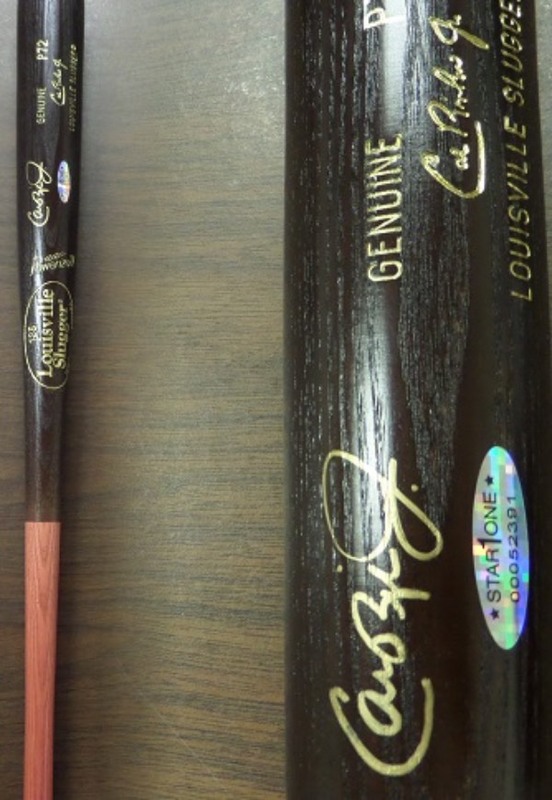 This mint, two toned bat is well done, his signature model P72 from Louisville Slugger, and comes barrel signed by the all-time consecutive games record holder, and HOF fan fave. It is signed in gold, printed in gold on the barrel, and is simply stunning! It has both a Star 1 lifetime COA and added hologram, and value is $600.00 on MLB's new "Iron Man".